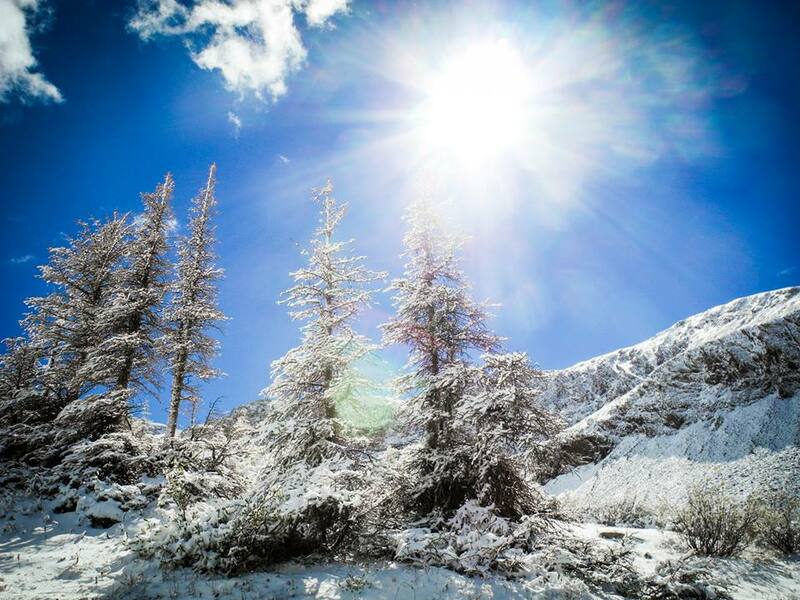 WAIT…how is September already over??? My parent’s visit was so great, but much too quick. I was able to spend a lot of precious time with them while we explored the city. During the trip we had great food thanks to Tom Douglas, Boat Street Cafe, Camion tacos, Annapurna, and Glo’s, we visited Bainbridge Island and Poulsbo, did outdoor yoga, went on the Underground Tour, got mani/pedi’s, and the parents had their own daily excursions. I love visits with the family and this one was a very special one for me. 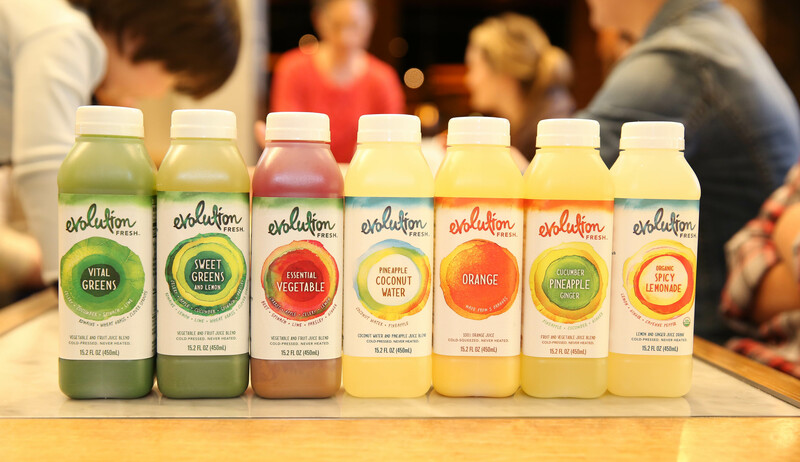 I had my first taste of the new Evolution Fresh store at U Village after work on a weekday. The event was both delicious and extremely educational. With all of the cookies and sugary cereals I have been eating lately it was actually quite refreshing and good to hear the praises of fresh, natural foods in your diet. Trying their juices and food offerings was fun and walking away with a goodie bag made it even better. Tried it and liked it. Bryan and I still have our memories of our recent trip to Colorado fresh in our mind. We had a lovely visit with his friends Mark and Kim, my first time meeting these very special people to him, a nice hike, a lovely wedding, several scenic drives in the Colorado mountains and valleys, a morning at some hotsprings, and just some great conversations and laughs. 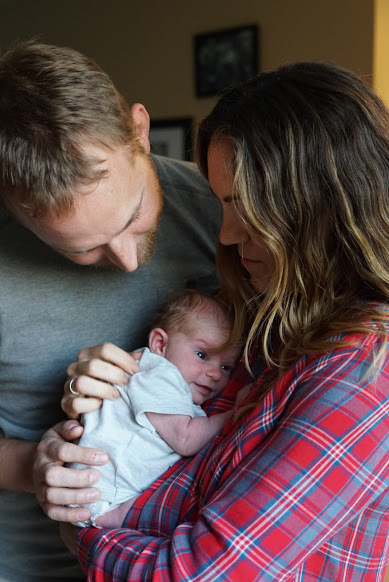 I can see why they are such important people in his life and looking forward to future adventures with them. This pizza is fantastic, enough said. I don’t want it to go away for the rest of the year 😦 Good thing Bryan’s new house has a fig tree in the backyard and he wants to become an expert pizza crust maker. 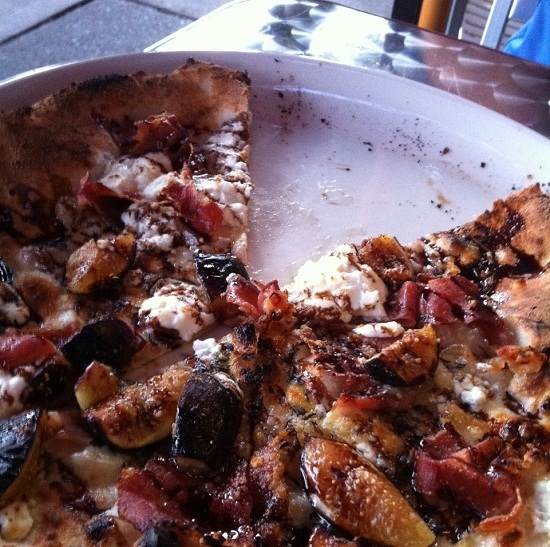 Best pizza ever with olive oil perfect crust, prosciutto, goat cheese, rosemary, figs, and balsamic reduction. FareStart is already one of my favorite places in Seattle but they keep making me like them more. This month they held an annual party for all of the volunteers to come eat, drink, and socialize with eachother. We had fantastic food made by the chefs, unlimited wine and beer, coffee and tea, and took away swag for ourselves. This has really become a place I look forward coming to each week and something I will continue doing. 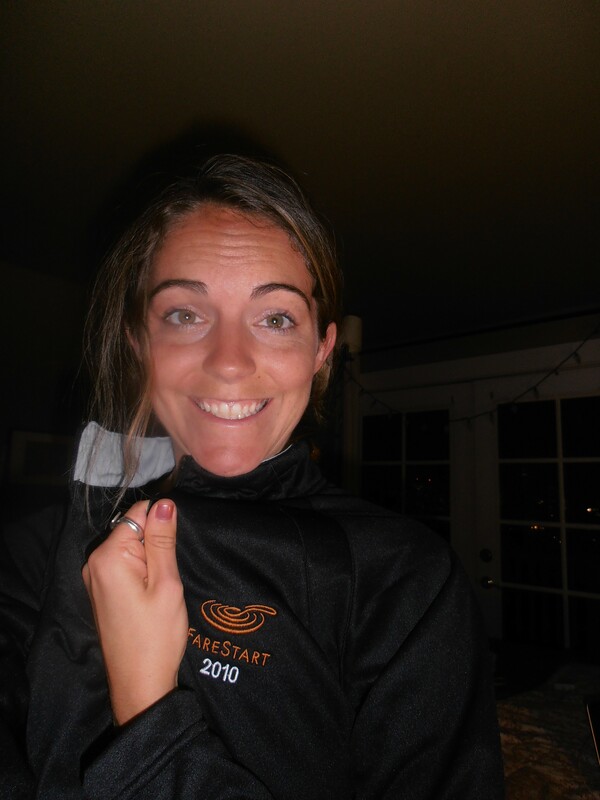 Proud owner of a FareStart jacket! This was my second Bumbershoot experience and although it was not as good as my first (which was spent solely with Bryan and seeing such great acts as Macklemore, Fitz, Hall and Oates, and others) it was still great weather, great music, and great fun. This year I attended two days for free, through volunteering, and caught the concerts of Fun!, MGMT, Allen Stone, alt-J, and some other small bands I really dug. 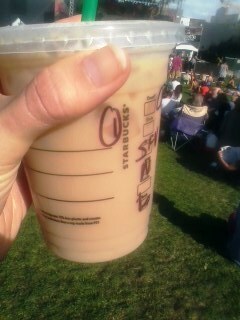 It was also fantastic showing my Starbucks Rewards card and getting unlimited lattes and coffees throughout the festival. It wasn’t half bad volunteering too. I’m a sports fan for sure and I have always been pretty loyal to my hometown teams but it sure helps cheering on a team in your new home town when they have a great team, a cute quarterback, and a winning coach. 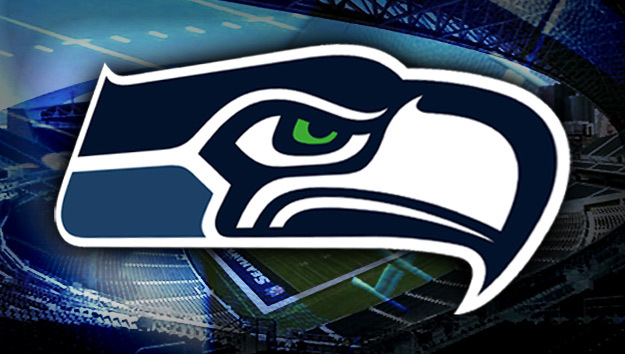 The Seahawks are FUN to watch and I now find myself looking forward to Sunday just as much as I do to Saturdays. I’m still an avid Michigan fan but having the camaraderie of all of my transient fans watching the Seahawks together is something I truly cherish. Now I just need some Seahawks fan swag!!! What’s better than me volunteering at FareStart but Bryan volunteering with me…and liking it! I dragged him with me for a low-key Guest Chef Night and the result was that I had a new supporter of the center that I think does so much good and is so cool. I got to boss him around, I got to introduce him to my friends, I got to spend a lovely weeknight talking with him and eating a great three-course dinner with. 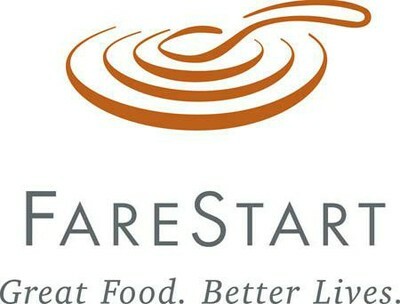 It was certainly my favorite FareStart yet and he even agreed to come back…sometime. 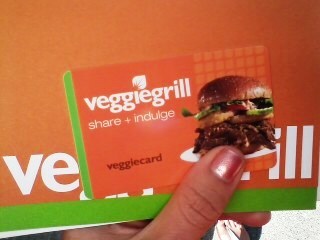 It is not unknown that I am a big fan and customer of the West Coast vegetarian fast food chain, Veggie Grill. I have dined there a number of times over the past year and have even received a full catered lunch for my office on one occasion. I love their food, their colorful decor, their philosophy, their prices, and their friendly customer service. I have a favorite sandwich, a favorite salad, a favorite soup, and a homestyle plate of chikn’ fried goodness that reminds me of Marie Callender’s and Applebee’s takeouts with my dad. What’s better? They opened their third Seattle location right in the heart of downtown and on their grand opening day I got a $25 gift card to use for my lunch that day and more to come. I love my freebies! 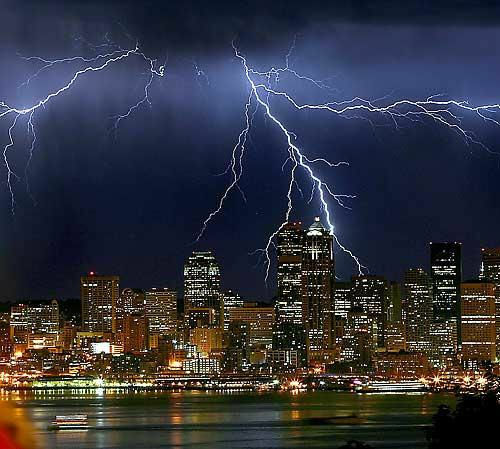 In my first two years of being a Seattle resident I cannot recall one thunderstorm, one strike of lightening, one roar of thunder…and I so missed those things. In the past few months we have had a few dandies and it has been a really great show. Despite occurring during our walk home from a concert, the night of my parent’s arrival, or delaying the Seahawk’s Sunday night game, they have all been noteworthy and a treat.